Chorus is New Zealand's largest telecommunications utility company, with a network of local telephone exchanges, cabinets and copper and fibre cables that currently connects around 1.8 million New Zealand homes and businesses. Chorus's 'fibre to the cabinet' programme aims to reach thousands more by delivering high speed broadband to more than 80% of New Zealanders by the end of next year. With a massive programme of work underway, Chorus approached the design company, Creature, to provide an effective medium and location to promote their network expansion. A large-scale digital display was decided upon, and Wellington International Airport chosen as an ideal location to promote this message to a wide audience. 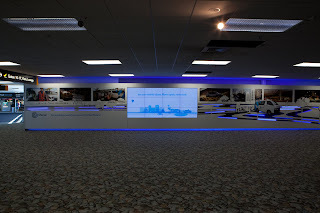 An installation comprising white on white router cut layers was designed and integrated with video content displayed on a bank of digital screens. The objective of the display was to reinforce the message that the network expansion was real and happening now in numerous communities. 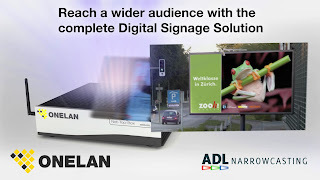 ONELAN's Net-Top-Boxes (NTB's) were chosen as the digital signage content management solution for the content and display options available, as well as the instant messaging and scheduling capabilities, and ease of use. 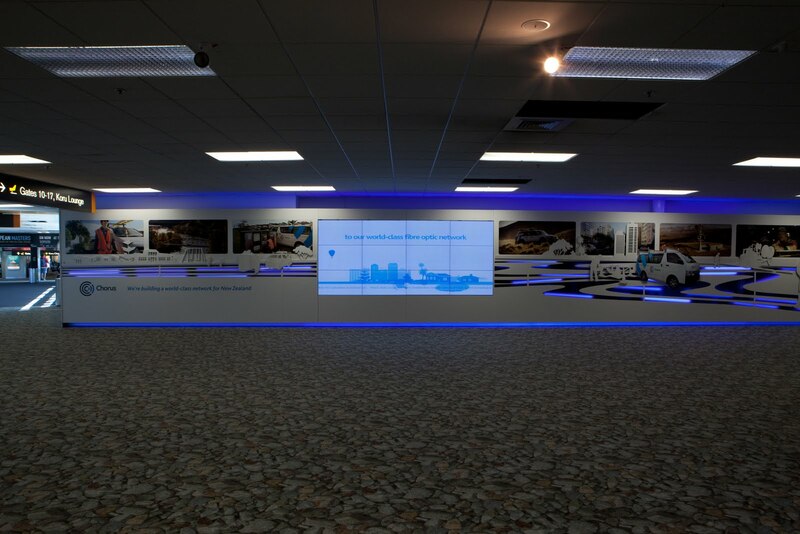 One ONELAN NTB5005 has been installed displaying content to twelve Orion MPDP seamless panels, configured in a 4 x 3 4m wide video wall. 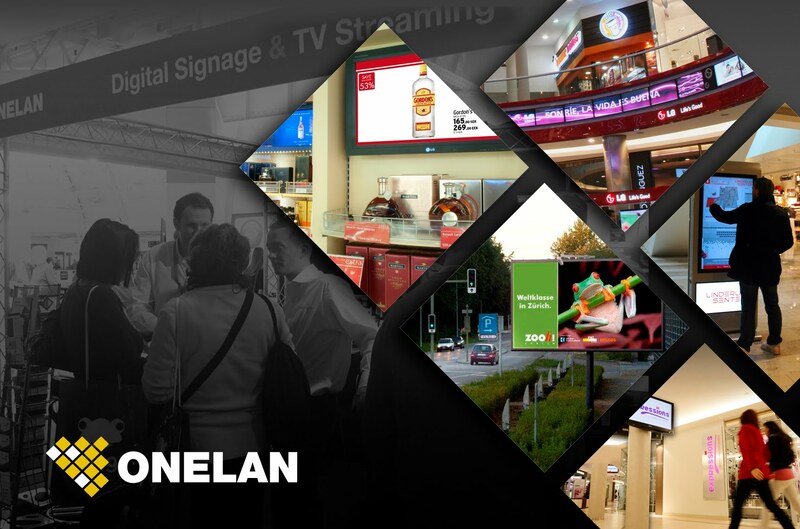 The ONELAN unit turns the power on/off, schedules and runs content, tells the MPDP to display the image across twelve panels, and can be updated remotely across a network. 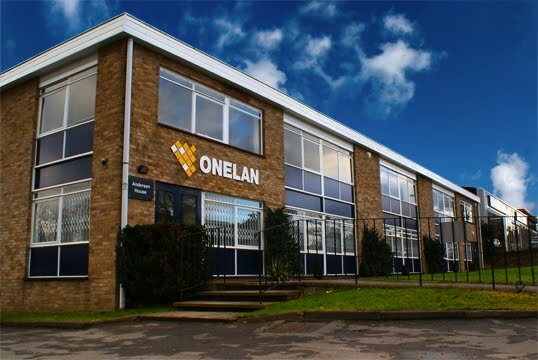 "Having investigated various digital display systems - ONELAN combined with the Orion screens fitted the bill perfectly. 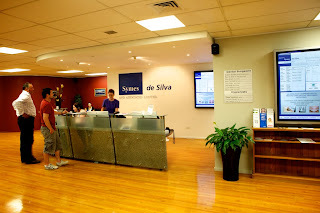 It offered us, and our client, the look and functionality we were after. The ability to display various content files, have remote access and be easy to use was a pretty compelling argument." Brooke Ashton-Taylor, Account Director, Creature. 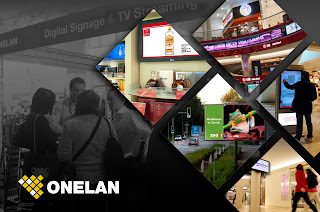 Everyone talks about Digital Signage being a very powerful medium – at ONELAN we really believe this and are therefore using it ourselves. The LED screen you’ll see outside when you land at Schipol airport to visit ISE 2011 at the Amsterdam RAI this week is driven by one of our digital signage media players operated by our Dutch partner ADL Narrowcasting. ONELAN chose POPAI award winning company Realisation Marketing Services to develop the content.